Happy New Year! I hope you had a wonderful holiday. Now that it’s January it seems the number one focus on everyone’s mind (based on Pinterest, blogs and magazine covers) is juicing, and decluttering. Both with the ultimate goal of being thin and organized in 2014. It makes sense that the majority of us are feeling the need to purge after a month of too much food, too much partying, too much clutter, and too much overall excess. I have the personality type that functions best if my environment is organized, clean and clutter free. Having said that, you would assume my house would reflect that but you would be wrong. You see, as a decorator I am by nature a collector. I have way too many throw pillows, dishes, table linens, extra furniture and decorative accessories. My husband is a high tech guy so he is equally at fault with having too many computers, monitors, cords and “high tech” stuff. About six months ago I decided enough is enough. I had reached my breaking point (again, my personality type) and we have been slowly decluttering. I will be honest, it has not always been easy. Many items have sentimental or monetary value and deciding what to do with those items is where we get tripped up. We are continuing to move forward though so that by this time next year I want to proudly claim that we are clutter free. 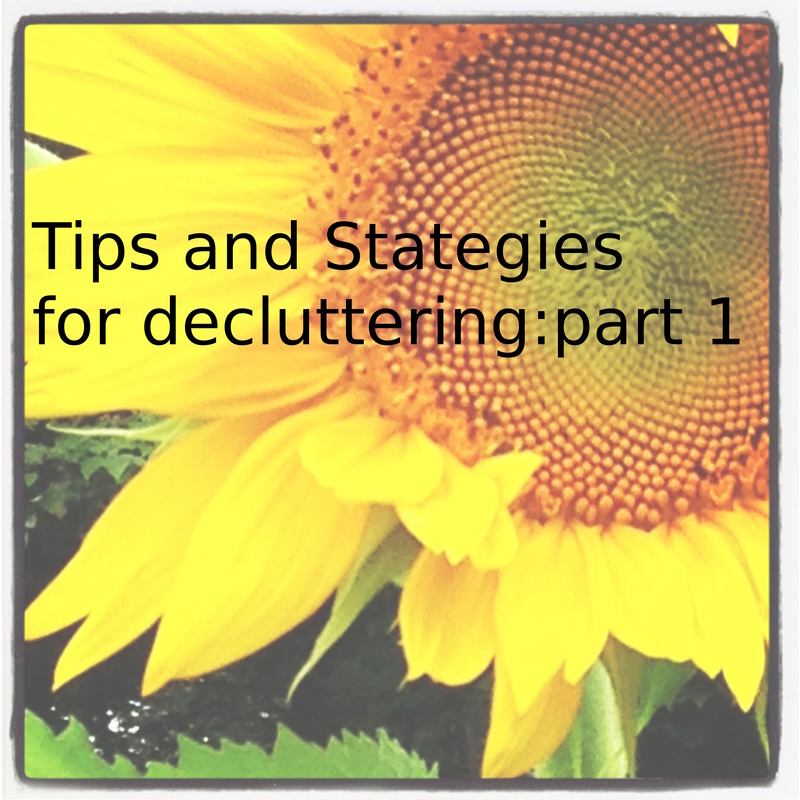 For those of you who also plan to make de-cluttering or downsizing a goal in 2014 I thought it would be helpful to share tips and strategies that have helped us. 1. 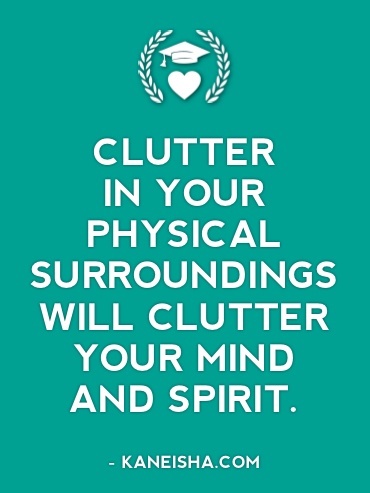 De-cluttering is a process. Unless you are the rare bird who can say, “just pull the dumpster up to the back door” and then start heaving stuff into the trash, de-cluttering takes time…lot’s of time. What works best for me is to set the timer on my iphone for a designated amount of time (usually 45 minutes to one hour) and work only for that specific amount of time. 2. Target one area at a time. I started with a single closet in the hallway and only worked on that space until it was done. 3. Divide items into four groups. Group one are items to keep, group two are items to be tossed, group three are items to donate or give away and group four are items to sell. When deciding which group something should go in, this is where you need to be a little ruthless. Try to keep emotion out of your decision. Just because something was given as a gift or cost a lot of money doesn’t mean you need to keep it forever. If it is not adding to the enjoyment of your life, or you are not using it then it is time to let it go. 4. When deciding what goes in the “keep”group ask these three questions. 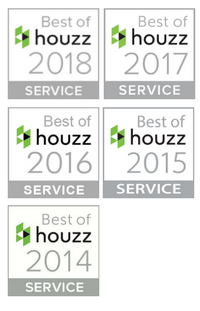 Only things that fit into one of these three categories should go in the keep pile when de-cluttering…again, be brutally honest. Now that you have items separated into one of four groups what next? Check back later in the week as part two will address the best resources I found for dealing with things to donate or sell along with the pros and cons of each resource such as charities, yard sales, Craigslist, Ebay, and a few more. How about you? Is decuttering a goal for you in 2014? Do you have tips that worked best for you? I would love to hear. Moving recently forced me to actually look at things and ask myself those questions you mentioned. I was able to downsize quite a bit. Still have a lot of stuff I could probably get rid of. One step at a time, right? Moving is a great motivator which is why we chose to do it now so that when the time comes to move we don’t have the added stress of decluttering.it sure is a process though Kelly! 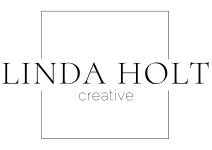 Linda, this is a timely post for a lot of us. For the same reasons as you, we have a lot of “stuff” accumulated over time. When I decorated the house for Christmas, a lot of this stuff went in the basement. Well, this weekend I started to go through everything that went “below”, and nothing moved back “above”, unless I really loved it. Your strategies will help me go through my entire house and give it a trim. Thank you! That’s great Livia, I am so glad you found the post of value. I think for most of us decluttering is just so overwhelming that we put it off until it is absolutely necessary (like a move) and then we are doubly stressed.A little at a time though makes it more manageable. Best of luck with your efforts! Great tips, Linda! It absolutely is a process. Follow-on questions I always ask are: “Do I have something else similar that I like better?”; “Why don’t I use this?” and “What would make me decide to use this?” The answers to those questions usually make the decision on what to keep obvious. Look forward to the next post! 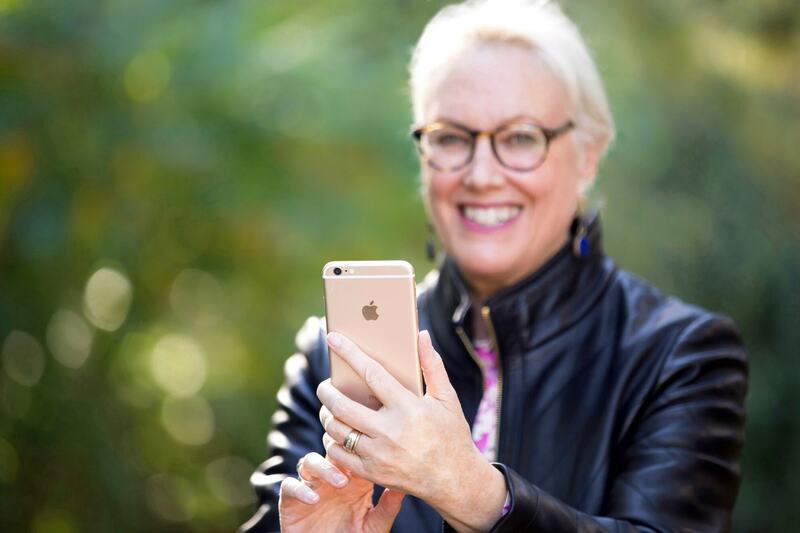 Great tips Marlene and thanks for commenting! This is such a struggle for me, since I am, too, such a collector! My husband can’t stand clutter, so he’s always nudging me to clear things out. In fact, I’ve been cleaning up and packing away all the Christmas decor today – about at a place where I can breathe again. I need the organization, but I also love the pretty little things! I look forward to more of your blogs on this subject as this is one of my 2014 goals – go through the entire house and office and gets things in order. Happy New Year! Great suggestions. I appreciate the way you listed them all so clearly. My line is “use it or lose it”. There is always someone else who can make use of the items we currently have stored away. All the best for the coming year!